When an obituary has only a female pioneer’s married name, I do like to find their maiden name. This month, there was one such pioneer, Mrs Susan Sloan. After a quick search, I found on her death record her father’s name recorded as Francis Sloan. As I don’t want to make assumptions based on a death certificate, I will continue to call her Mrs Susan Sloan, however, I will keep trying to find her maiden name in the future as I have an interest in Susan as you will see in her obituary below. Marks DAFFY: Died 22 February 1902 at Cundare. Marks Daffy was born at County Clare, Ireland and arrived in Melbourne in 1857. He spent his first five years in the colony around the Barrabool Hills near Geelong, working on various farms. With money saved, Marks selected land in the Colac district after the passing of the 1862 Duffy Lands Act. He set about building a fine dairy farm, using his good eye for stock to select the best dairy cows. He gave up dairy-farming after twenty-five years and settled into an “easier” life as a grazier. In 1887, after dissatisfaction with the Colac Shire, he ran for a seat which he won. Around eighteen months before his death, a fall from his buggy eventually left him bedridden and ultimately claimed his life. His funeral procession was a mile long and was the largest to arrived at the Cundare cemetery. William MOODIE: Died 25 February 1914 at Coleraine. William Moodie arrived in the Coleraine district with his Scottish parents at the age of six weeks around 1841. 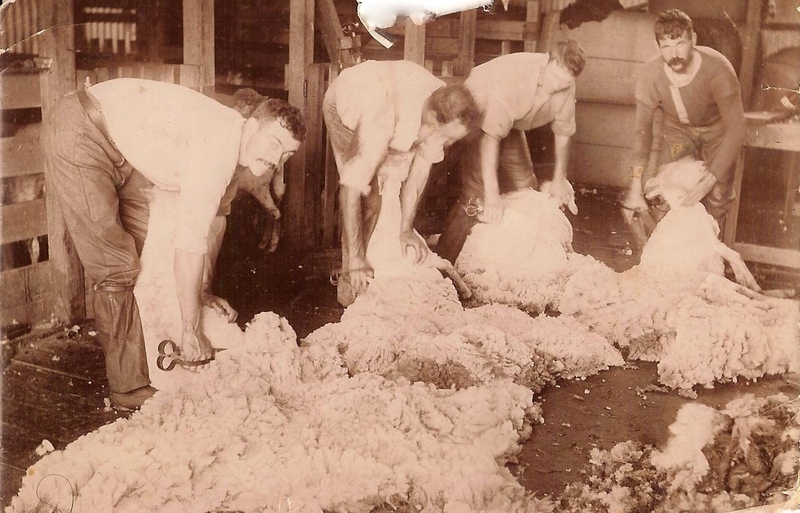 His father took up the property Wando Dale at Nareen and so began William’s life on the land, breeding some of the finest wool stock. After taking over the property from his parents, he built the current Wando Dale Homestead (below) in 1901. He also spent a good part of his seventy-three years in public life. He was a member of the Casterton Roads Board and the Wannon Shire Council. He was also involved with the P&A Society, the local Horticultural Society and St Andrews Church at Coleraine. 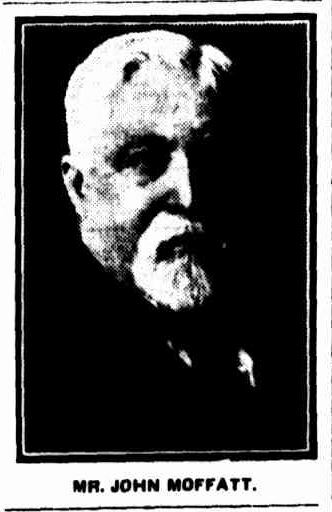 William Moodie left a widow, seven sons and five daughters. John KELLY: Died 7 February 1915 at Macarthur. John Kelly arrived from Tasmania, his birthplace, with his family when he was three years old. If John was eighty-five at the time of his death, it would mean that he arrived in Victoria in 1833, so I’m thinking it may have been a little later. Even still, he was an early arrival in the colony. John worked as a carrier with his brother, working the route between Geelong and stations as far west as Casterton. He also ran a store at Yambuk for many years and took up property at Codrington. He died at the home of his daughter Mrs Hindhaugh of Macarthur. John MURRAY: Died 13 February 1915 at Hamilton. Born in Stirlingshire, Scotland, John Murray was a resident of Hamilton for over fifty years by the time of his death. His family arrived at Geelong aboard the Chariot of Fame and went directly to Hamilton. He spent much of his working life as a labourer and was a member of the Court Brotherhood of the Ancient Order of Foresters for over forty-five years. He was a widow and left five sons and one daughter from a family of twelve children. Jane O’MAY: Died 17 February 1916 at Buckley Swamp. 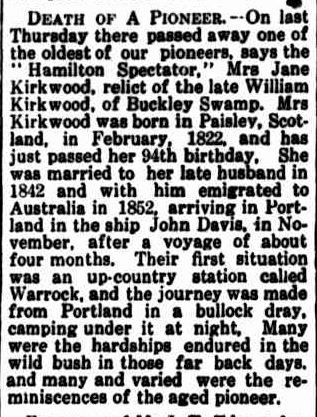 Jane O’May was born in Paisley, Scotland in 1822 and married William Kirkwood in 1842. William and Jane arrived in Portland in 1852 aboard the John Davis. They travelled by bullock dray to Warrock, near Casterton. The Kirkwoods were hard-working pioneers and Jane left a large family at the time of her death. Three daughters were still alive along with twenty-four grandchildren and twenty-one great-grandchildren. Jane’s grandson, William Kirkwood of the Hamilton South area, married my first cousin 4 x removed, Sarah Ann Reed. James COWELL: Died 24 February 1917 at Mortlake. James Cowell was born in Cambridgeshire around 1838 and by 1868, had already established a butcher’s shop at Mortlake. He later became a road contractor for the local Shire. One of James’ three sons, Pte Harry Cowell, lost his life at Gallipoli. Susan SLOAN: Died 9 February 1918 at Hamilton. Susan Sloan was born in Glasgow, Scotland and after arriving in Portland in 1855, she went to Ararat where she married Thomas Sloan. They returned to Portland and ran a shipping business, but the trade was tough and they moved inland to Hamilton where there were greater opportunities, and they established a cordial business. Thomas died in 1910 and Susan continued to run the business until her death, after which time family members continued its operations until 1930. The Sloan’s cottage Whinhill in Pope Street, Hamilton was featured in an I’ve Lived in Hamilton, Victoria group post as it is a highly visible and known to most who have lived in Hamilton. None of us knew the history of the cottage and there is still more we would like to find out. The cordial business operated behind the cottage. John MOFFATT: Died 9 February 1926 at Chatsworth. John Moffatt was born in Scotland in 1854 and arrived in Victoria with his parents in 1872 and resumed his education at Geelong Grammar. At age 19 he took up the running of the Burnewang Estate near Bendigo before he inherited Chatsworth House from his uncle John Moffatt in 1879. He also leased his uncle’s property Hopkins Hill from the estate’s trustees. John Moffatt was a sat on the Shire of Mt Rouse and was a member of the Landowner’s Council. 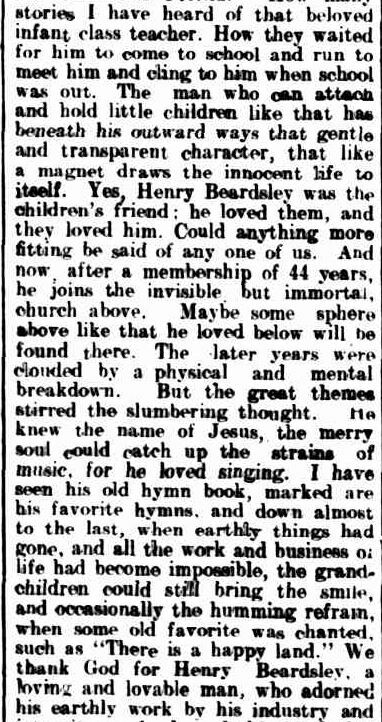 John Moffatt’s uncle, John Moffatt, has been a Passing Pioneer and his obituary offers more history about the Moffatt family. This September’s Passing of the Pioneers includes some early colonists, many offering up some interesting extra tidbits. The images I have used in this post show how Trove can help illustrate your family stories. Simply pick a landmark, ship or even a theme (thinking of the recent post Stretching my Genealogy Muscles), and then do a Trove search. I find many “out of copyright” images from both the State Library of Victoria and the State Library of South Australia. As long as you cite the image correctly, you are free to use that image. Other repositories require that “out of copyright” images be used for personal use only, except with permission from the institution. For the purposes of my blog, that’s not practical as I’m usually searching on a whim, but would not be problem if writing an article or book. John MOFFATT: Died 5 September 1871. The story of John Moffatt is a something of a rags to riches story and easily could have ended in rags again. Moffatt was born in Scotland around 1817. He arrived in Victoria around 1839 and began work as a shepherd at Hopkins Hills Estate, then run by the Clyde Company. He then went to The Grange at Hamilton owned by Captain William Lonsdale. In 1854, prophesies of financial doom were directed at the squatters. The Clyde Company got cold feet and sold Hopkins Hill. 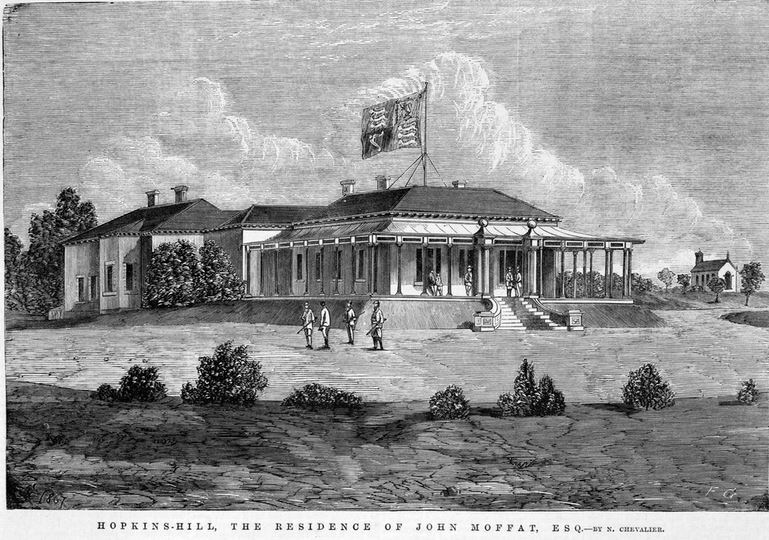 John Moffatt was able to buy the property where he worked as a shepherd, fifteen years before, presumably at a reasonable price. In the late 1850s he built Chatsworth House for around £20,000 and given his small freehold, many thought such a lavish investment would lead to his demise. By the time of his death, however, he was earning £35,000 per annum from rental on his properties. John Moffat sat as a member of Villiers and Heytesbury from November 1864 to December 1865 in the Victorian Parliament. He also imported horses with some of the finest bloodlines seen in the colony. 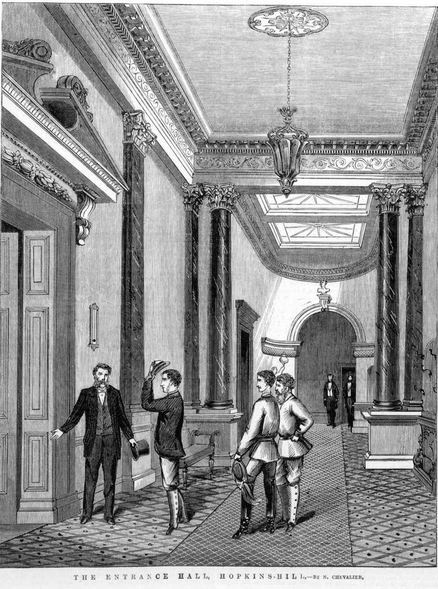 His greatest triumph was hosting Prince Alfred in 1867 as depicted in the sketch below by Nicholas Chevalier. An extensive report of the visit, including Chevalier’s sketch were published in the Illustrated Australian News for Home Readers (Melbourne: 1867-1875) on 4 February 1868. Unfortunately, the Prince was a keen hunter and was able to indulge in his “sport” at Hopkins Hill which sadly involved a yard of kangaroos. That incident too, was reported on at length. John Moffatt travelled to England around 1869. In 1871, he decided to return to Australia, taking an overland route, but died during the course of the trip and was buried at Galle, Sri Lanka. He never married. A line at the end of the obituary gives some insight into John’s character. His brother, Robert Moffatt, was described as “even more eccentric” than John. Thomas MUST: Died 2 September 1905 at Portland. 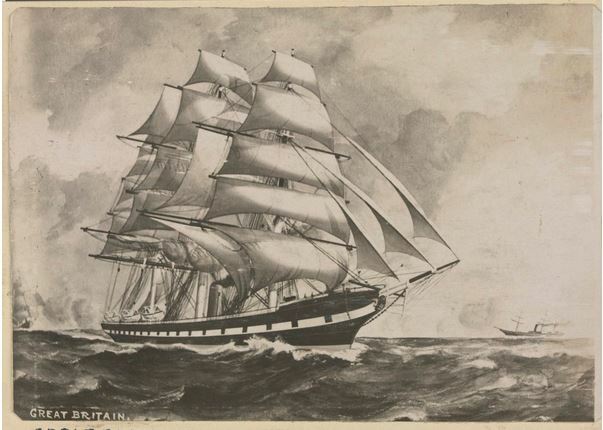 Thomas Must was born in London in 1815 and arrived in Sydney in 1832 aboard the Guardian. He worked for general merchants and shipping agents, Marsden and Flower and in 1842 he married Anne Wilcox. Marsden and Flower sent Thomas to Victoria in 1846 and he established an agency at Portland. Horace Flower joined him and they formed the partnership, Flower, Must & Co., traders. A large warehouse was built in Bentick Street. After seven years, Must bought out Flower’s share in the company. Thomas later set up a branch at Port McDonnell, South Australia. He operated his business for a further twenty-seven years, but in the meantime he served on local government and sat on the Victorian Legislative Assemble and saw some shaky financial times. Thomas had the family home Prospect built in 1855, and from there he and Ann raised eight daughters and four sons. Angus McDOUGALL: Died 4 September 1914 at Hamilton. 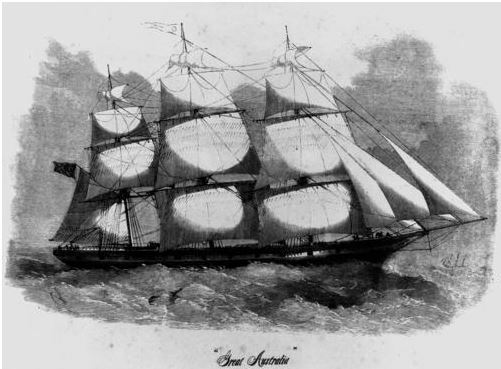 Angus McDougall, a Scot, arrived at Portland around 1854 aged seventeen, aboard the Edward Johnstone. He started working as a carrier between Portland and Hamilton, but eventually took up land at Buckley’s Swamp. He married, but he and his wife never had children. Eight of his siblings were still alive at the time of his death and the funeral was one of the largest seen in the district, with around sixty vehicles and many on horseback. Sarah Ann BURNETT: Died 7 September 1914 at Warrnambool. 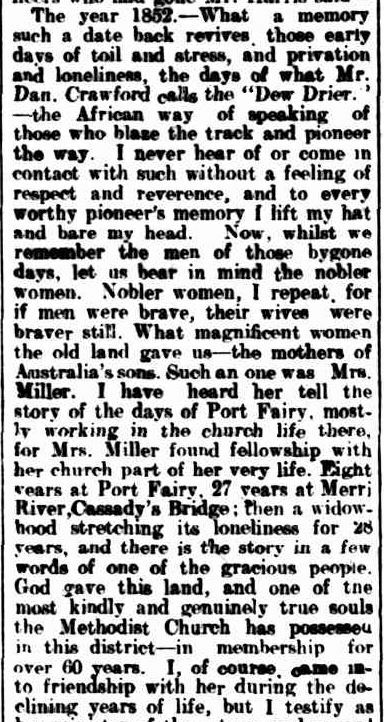 Sarah Ann Burnett arrived at Port Fairy aboard the Persian in 1852 with her husband William Miller and three of their children. They lived first between Port Fairy and Tower Hill, then settled on the Merri River at Cassidy’s Bridge. Sarah and William raised seven children. Her obituary states there were two grandchildren and twenty-five great-grandchildren at the time of her death. Reverse that I think…or, maybe, her two grandchildren were just prolific breeders. Sarah and her fellow Methodist church goer, Henry Beardsley (below), died a day apart and were both remembered at a service at the Warrnambool Methodist Church led by Reverend Harris. 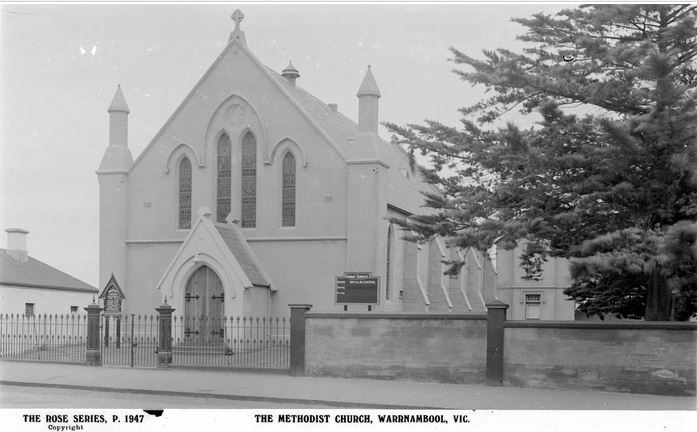 Fortunately, the Warrnambool Standard documented the service. Reverend Harris reminded the congregation of the great contribution pioneer women made to the colony, a fact often forgotten. Henry BEARDSLEY: Died 9 September 1914 at Russell’s Creek. Henry Beardsley, born in Derbyshire on Christmas Day, 1842, arrived at Hobsons Bay in 1852 aboard the Marco Polo. He accompanied his parents, John and Elizabeth, and four siblings. 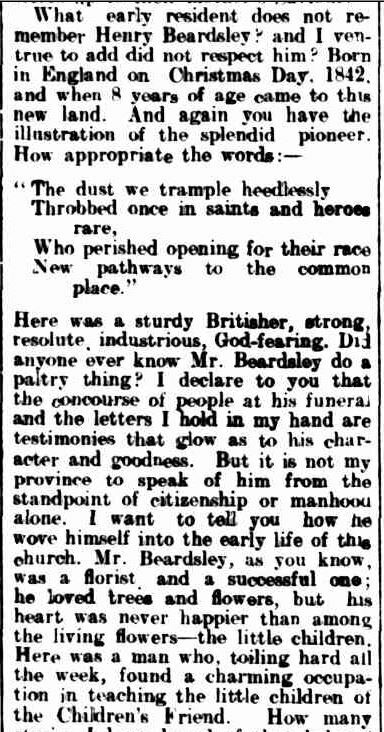 That information is from the PROV Index to Assisted British Immigration (1839-1871), something the writer of Henry Beardleys’ obituary did not have access to. If he did, he would have known that the Marco Polo didn’t land at Geelong in 1850. Henry first went to Ararat with his family, then on to Warrnambool where he took a job at “Spring Gardens” nursery. After nine years he took a managerial role at the nursery of Mr R. S. Harris. He remained there for another nine years. After eighteen years in the industry, he started his own nursery at Russell’s Creek. At the Warrnambool Methodist Church memorial service, Henry, a Sunday School teacher, was remembered as the children’s friend. Margaret BISSETT: Died 14 September 1914 at Richmond. Margaret Bissett was born in Scotland and came to Victoria around the 1850s. 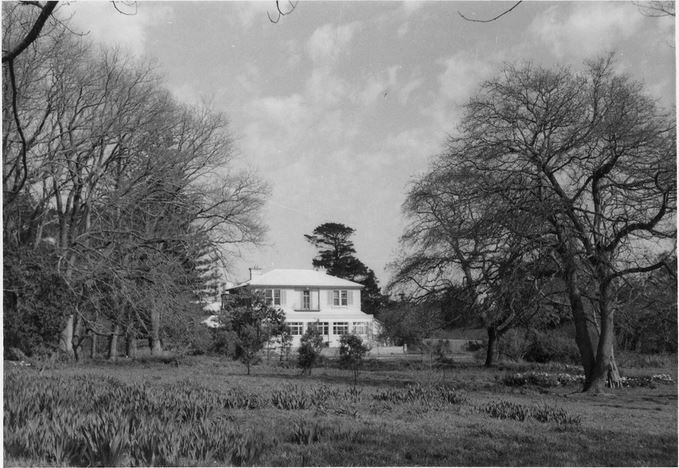 She went to Dunmore Station (below), between Port Fairy and Macarthur, owned by Charles MacKnight. It was there she met her future husband, Michael Horan, a worker at the property. 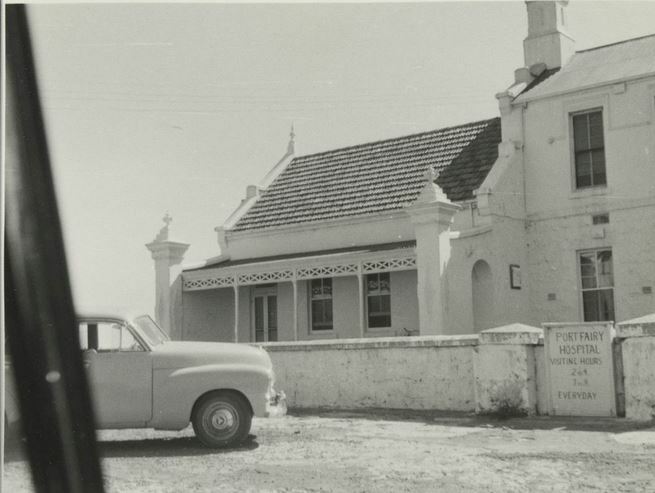 After Charles and Margaret’s marriage, they moved to Orford, near Warrnambool, and purchased the Horse and Jockey Hotel which they ran for several years Margaret also ran the Post Office. Margaret passed away at her daughter’s home in Richmond and she was buried at the Port Fairy Cemetery. James PAPLEY: Died 18 September 1914 at Port Fairy. 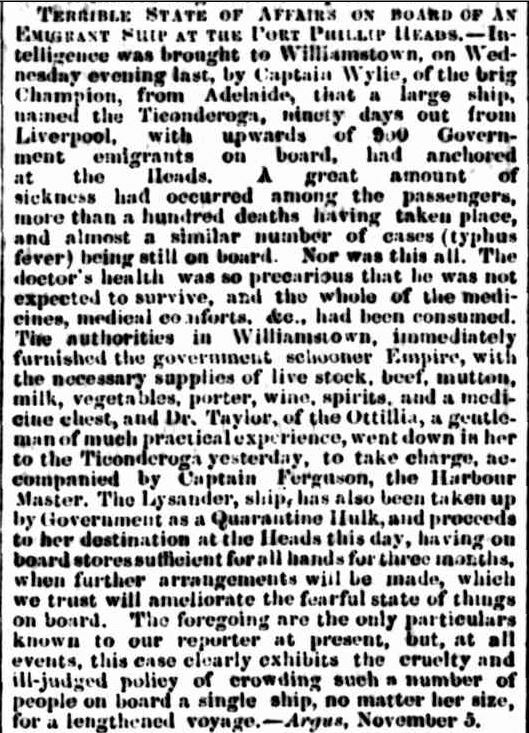 In 1852, James Papley from Orkney Island, Scotland, his wife Jessie and two babies and a female relative, presumably his sister, left Birkenhead for Port Phillip aboard the Ticonderoga on what was to become a hellish voyage with 170 passengers dying during the passage. There is an excellent website Ticonderoga that documents the voyage, the passengers and related articles. It is well worth a look. 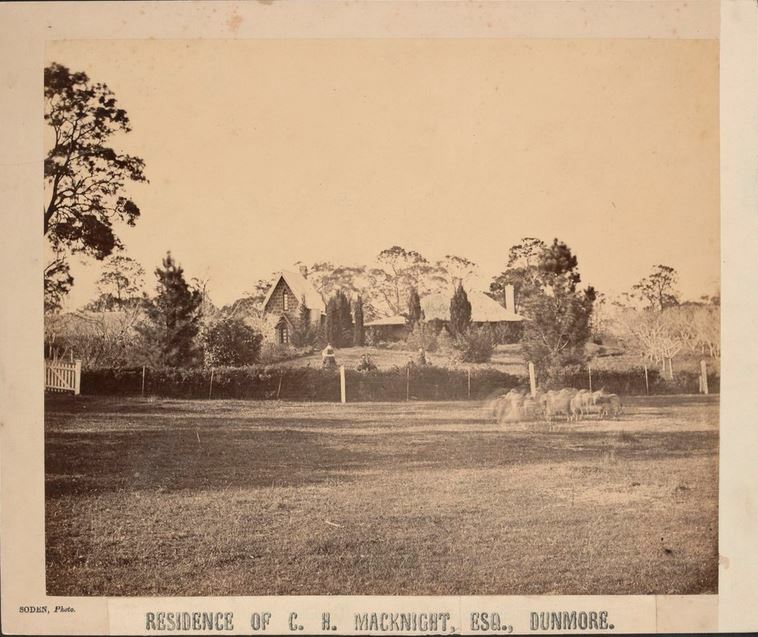 James and Jessie began work as the master and matron of the Port Fairy Hospital and remained there many years before turning to farm life at Narrawong, their home for forty-three years. Letitia WALL: Died 8 September 1915 at Toorak. Letitia Wall was born in the Wynard Barracks, Sydney in 1824, her father Colonel Charles William Wall led the 3rd Regiment (The Buffs). She married Robert Henry Woodward in 1846 at Moreton Bay and they went to the Port Fairy district soon after. 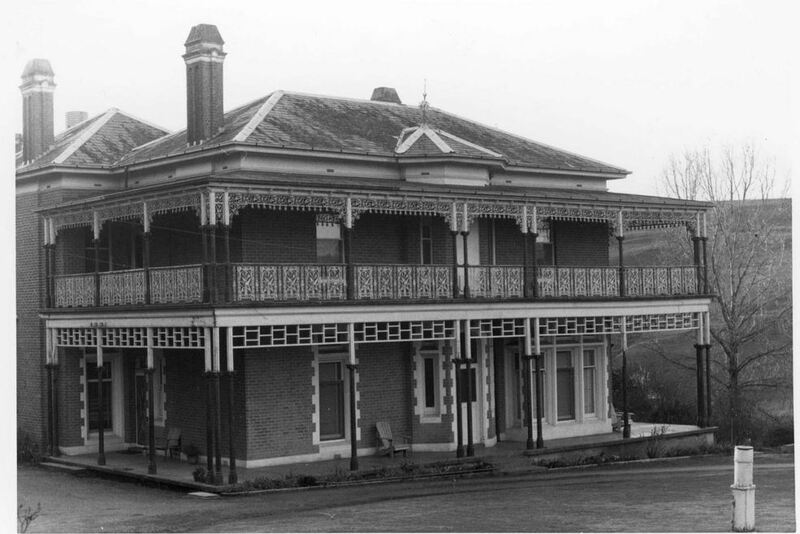 In her later years, Letitia took up residence at Kilmaron Toorak Road, Toorak where she passed away. Margaret SEFTON: Died September 1915 at Coleraine. Margaret Sefton, born in County Down, Ireland in 1823, travelled to Port Phillip with her father and siblings. She married William Brown in 1847 at St. James Church, Melbourne. The couple spent some time in Melbourne and Hamilton before settling at Coleraine. They had thirteen children and by the time of Margaret and William’s Diamond Wedding anniversary, there were eighty-one grandchildren and eleven great-grandchildren to join the celebrations. William passed away in 1908. The Australia Marriage Index records Margaret and William’s marriage as 1847, as does the site “Came to Port Phillip by 1849″, however Margaret’s obituary refers to their marriage in 1846, their Golden anniversary as 1896 and Diamond anniversary as 1906. Maybe Margaret and William forgot the year they married? Michael CASEY: Died 8 September 1918 at Macarthur. Born in Limerick, Ireland around 1835, Michael Casey arrived at Geelong aboard the Great Australia, possibly on her 1862 voyage. 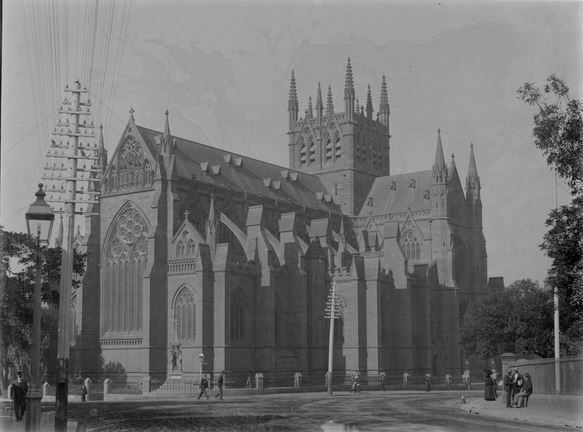 He obtained Municipal contracts for work and he also married, but the newlyweds left Geelong for Sydney when Michael obtained work as a stone mason on the new St Mary’s Cathedral. After Sydney, Michael and his family moved to Colac, then the Wimmera and finally Macarthur. George Elias BUTLER: Died 15 September 1918 at Hamilton. A son of a doctor, George Butler was born in Tipperary, Ireland in 1844. At the age of twenty-five, he travelled to Australia aboard the Great Britain. He married at Ballarat in 1875 to Catherine Abbott. George spent time working at Blumesbury Muntham before leasing Glengleeson near Macarthur. In his later years, George moved to Hamilton and was known as a respected citizen with many friends throughout the district. Edward SIMMONS: Died 20 September 1918 at Melbourne. Edward Simmons found his fortune but it seems he didn’t set out to do it the way he did, unlike many other that tried. Edward started out selling stock in the Moonambel district before moving to Stawell and running a butcher shop with his brother William. Fortunately, they obtained shares in Stawell’s Orient Mine, one of the town’s most profitable, as history would show. Healthy dividends saw them increase their interests in other mines in the town. Edward was able to buyOban ,now the Stawell RSL. He also purchased pastoral properties including Yarram and Drung. In his later years, he moved to Melbourne and lived with his daughter at Shanghai on St, Kilda Road.